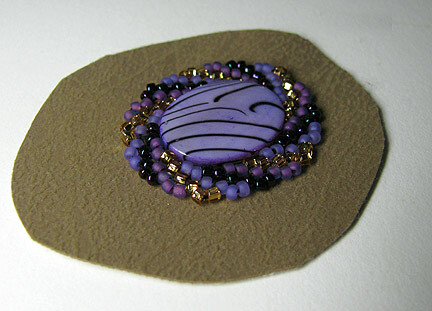 If you'd like to try easing your way into bead embroidery, here's an idea for you. 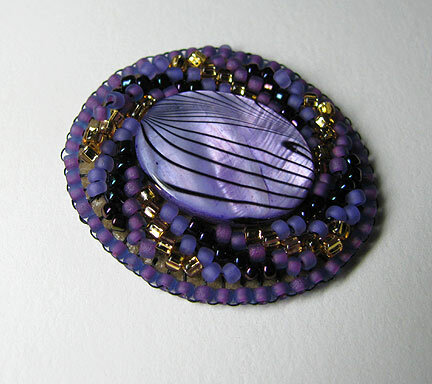 Some of the flat round bead weaving patterns that you can stitch with seed beads (like flat round peyote or square stitch) can be stitched down to a foundation fabric as you progress to make a wonderfully patterned "bezel" for a central bead or cabochon. 2. 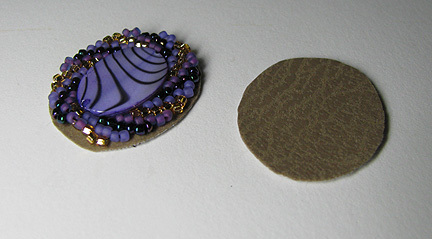 Make five beaded pieces, and cut each out with a 1/8 inch seam. Cut out backs to match. 3. Tack the fronts and backs together with a drop of fabric glue. Stitch them together using edging brick stitch. 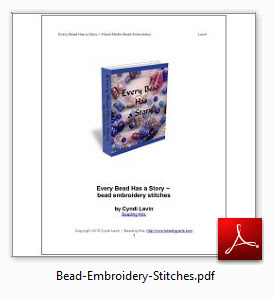 You will find step-by-step instructions for this stitch in the free first chapter of the e-book). 4. Stitch from unit to unit with a few beads to link them. 5. Add picots with 15/0 beads around each unit. 6. Stitch a small band of square stitch onto each end and add your toggle parts. This is a perfect way to get started. 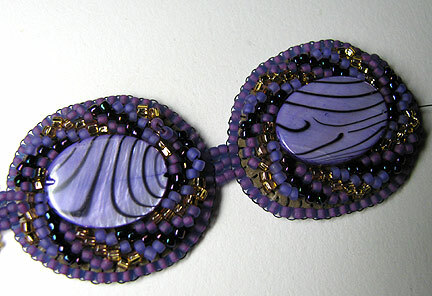 And pretty soon, it will all just come to you, and you will be beading up a bead embroidery storm! And then yo will be looking at everything as if it could be tacked down and beaded around! Great idea. 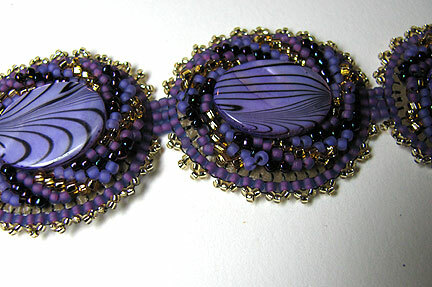 I just learned to bezel cabs and now I am looking to bezel anything and everything....F-U-N! good pattern... very creative designs. I am fashion designing student and it is very helpful for me. Wow…..mind blowing..awesome design. I appreciate the creativity and innovative design. That's so awesome! I did a version of those in my Color Swirls bracelet in the June/July issue of Beadwork, but I never thought to put them onto bead embroidery! Genius!